In a mortar & pestle, pound peeled garlic. Add coriander seed and pound the mixture into a smooth paste. Add Thai pepper powder, and pound together in the mortar. Separately, in a large mixing bowl, stab your chicken wings with a fork. Transfer the spice paste to the bowl of chicken. Add fish sauce and sugar, and knead it all together well with your hands. Place this in a ziploc bag for best results. Marinade it in the fridge for at leaste 2 hours, more if you prefer. Remove from fridge and place in a large bowl. 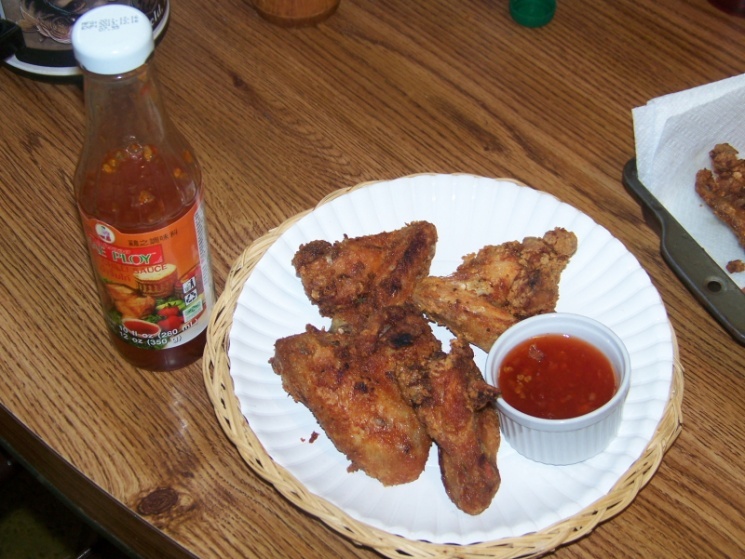 Sprinkle rice flour all over the wings. Mix well to coat the wings. In a saucepot, heat several cups of vegetable oil to medium/low. If the oil is too hot, the skin of your wings will brown too early. It may take some practice. Add a few wings to the oil and fry at low heat for 12-15 minutes. The wings should be golden brown. Remove the wings and set aside to drain, and cool a bit. Next, increase the heat of your oil to high. Fry each piece again, just 2-3 minutes. 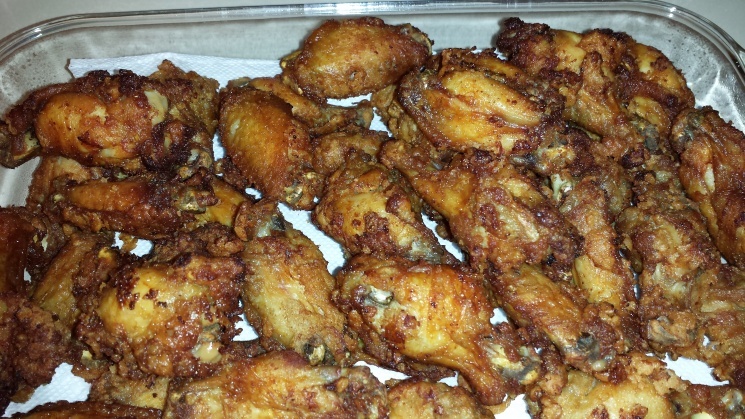 The wings will turn a darker brown and nice and crispy. Remove from oil, serve with a generous side of sweet chilli sauce, and Enjoy! 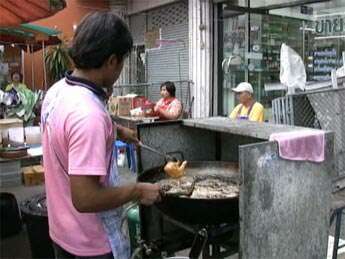 I tried your Gai Tod Hatyai and my family was very disappointed. 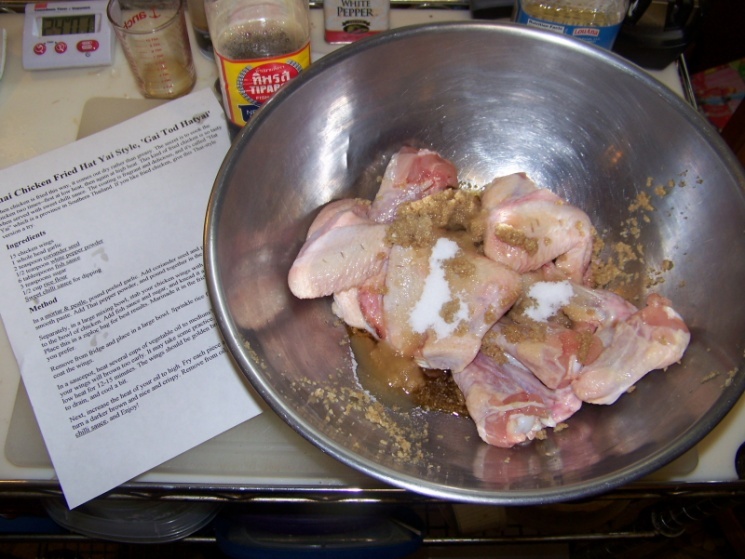 They would not eat this recipe because it appeared burned to them and I was out $14.00 in chicken wings. When you use an excess of sugar in a fried food marinade or coating, all it does is make the coating more chewy and under high temperature, in oil or on the BBQ, the sugar carbonizes and turns black. You need to re-think the addition of sugar in this recipe especially if you are going to raise the temperature at the very last. 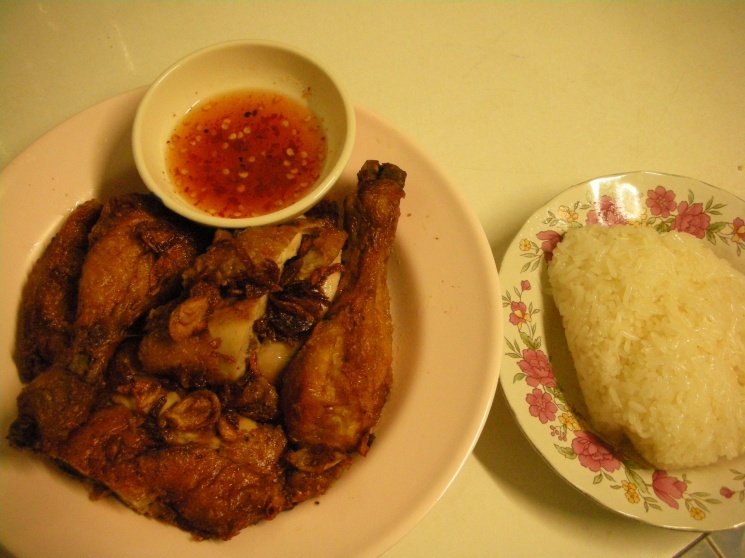 The sugar, raising the temperature, and the rice flour is not needed. Dusting with 50 flour and cornstarch will give a much better crispy coating at 325F. Also, add some garlic, fish sauce, lime, sambal oelek, and chinese parsley (cilantro) to the sweet chili sauce to kick it up a notch. All of your other recipes are great. They are good bases for fusion with other cuisines. 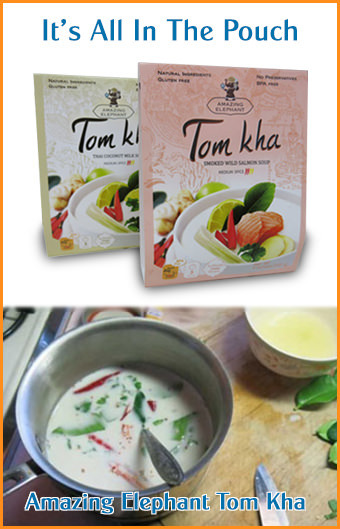 I am especially taken with the Por Kwan Tom Yum Paste. There are so many things that you can do with this product other than make soup. 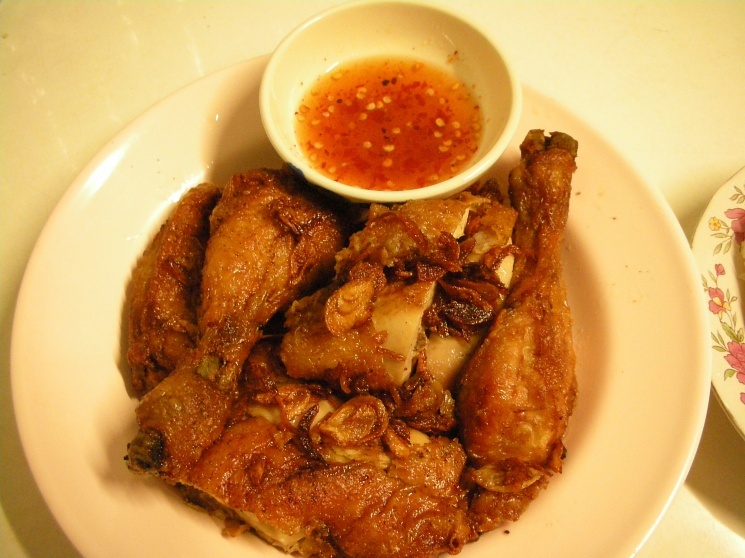 Why don't you pull the sugar out of the Hat Yai chicken and replace it with Tom Yum Paste. Mmmmmm. Last night, I made the recipe again. I made this tonight and my wife & I loved it! 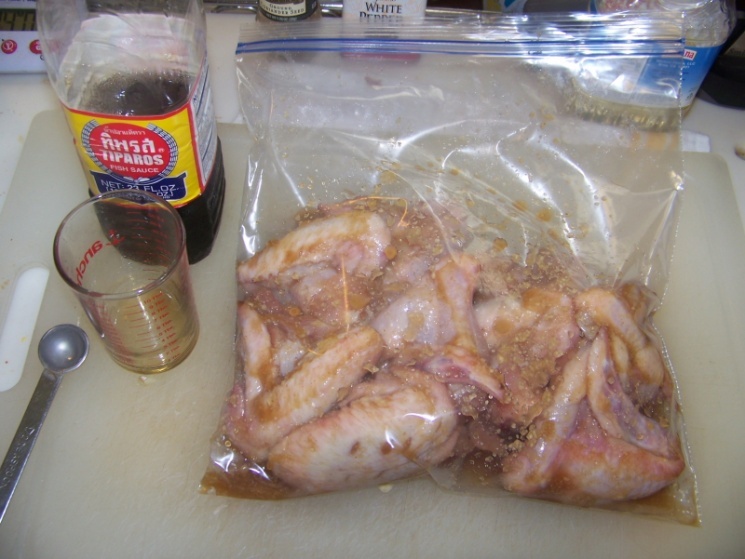 There are a couple of caveats: the marinade does contain sugar, which can cause some people problems. Simple solution - be meticulous about watching your frying temperatures. 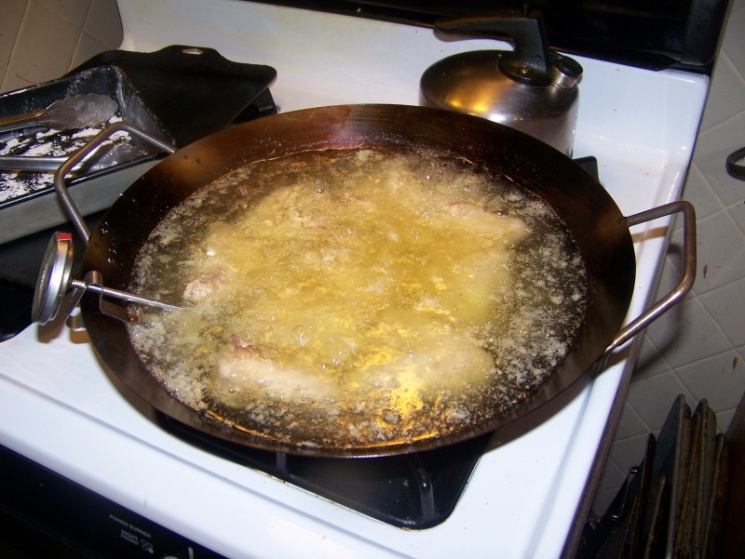 Never let the temperature of the oil exceed 300 deg or drop below 250 deg during the first part of the frying process. 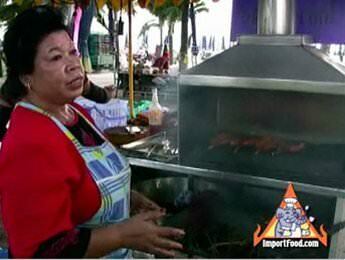 Never let the oil temp exceed 350 deg during the second part of the frying process. I pulled mine before it was quite as dark as the photos on this page. I did not have rice flour so substituted a 50/50 flour/cornstarch mix. It did not adhere as well as I would have preferred, but the fried bits of coating were delicious. ;-) Next time I will try adding an egg wash before coating with flour. I have photos, but am having problems with the photo uploader. I made this tonight and it tasted pretty good. @howard if you were clever you would know to adjust to your own liking and to accommodate to your family's taste. be thankful for a shared recipe get your own damn blog howard.